Presidential candidates who want to appear on the California ballot would have to release their tax returns if a bill passed earlier this month is signed into law. Senate Bill 149 passed on Sept. 15 despite questions about its constitutionality, report the San Jose Mercury News, Bloomberg BNA and an op-ed in the Los Angeles Times. 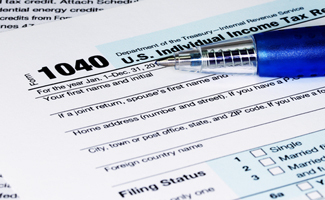 The bill requires presidential candidates on the ballot to release five years of tax returns. A redacted version would be posted online. The deadline for California Gov. Jerry Brown to sign or pass the bill is Oct. 15, but it’s unclear what he will do. Brown released his tax returns in his first two gubernatorial races, but didn’t do so in 2010 or 2014 when his opponents didn’t release theirs. The constitutional question is whether the bill imposes additional qualifications for federal office. The Constitution provides that presidents must be natural born citizens and at least 35 years old. A 1995 Supreme Court decision, United States Term Limits v. Thornton, held that states can impose procedural requirements for federal candidates to get on ballots, but they can’t impose qualifications beyond those set out by the U.S. Constitution. A staff analysis points out the constitutional issue and says the bill is likely to be challenged in court. Professor Jessica Levinson of Loyola Law School in Los Angeles told the Times and the Mercury News there are good arguments on both sides of the constitutional debate. “You can bet that if Governor Brown signs it, the second the ink is dry someone will sue,” she told the Mercury News.